The NWSL season has been on for nearly three months, and some teams will begin the back half of their schedules this weekend. For two teams the season has had a consistent ring to it. In North Carolina the Courage have launched an all-out assault on repeating as Shield winners and have reached the midway point in the season without tasting defeat. 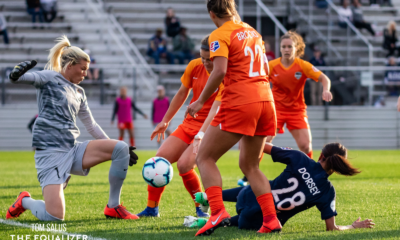 Up the coast in New Jersey, Sky Blue FC have floundered, taking just two points from 10 matches as they search in vain for the first victory of the Denise Reddy era. In both cases these teams are chasing the Seattle Reign. The club that was the last to win at the dawn of NWSL in 2013 retooled the club and began 2014 on a torrid streak that saw them play their first 16 matches without losing. Sky Blue may not actually be chasing the Reign’s league mark of opening the season with an 11-match winless streak, and the Courage will never let on that they care about the more appealing streak, but both are closing in nonetheless. Here is a look at how each of the streaks compare. I would normally begin with the unbeaten runs but as the 2013 Reign begot the 2014 Reign I’m going to start with the winless streaks. The Reign began with high hopes. The hiring of Laura Harvey was considered a coup and the initial allocation of Hope Solo, Megan Rapinoe, and Amy Rodriguez was considered among, if not the, best trios of American players. They signed a little known midfielder from Wales named Jess Fishlock and selected highly regarded Christine Nairn in the 1st round of the college draft. Things went south quickly though. Rapinoe was with Lyon and not scheduled to join the team until June. Solo underwent wrist surgery. Rodriguez got pregnant. That meant the Reign would open the season without the three players that were expected to contribute the most. Their Canadian allocations, Kaylyn Kyle and Emily Zurrer, played well early but were quickly caught up to by the middle of the season. The Reign did add a key player when Harvey—who else—executed the first trade in NWSL history acquiring Keelin Winters from the Red Stars for the pick that turned into Julie Ertz. Winters turned out to be a pivotal cog in the Reign’s 2014-2015 machine, but she was not the sort of player that could change the game on her own accord. Winters and Fishlock were occasionally great in midfield together, but the 2013 version of Fishlock would often win the ball, take a careless touch, and give it right back. 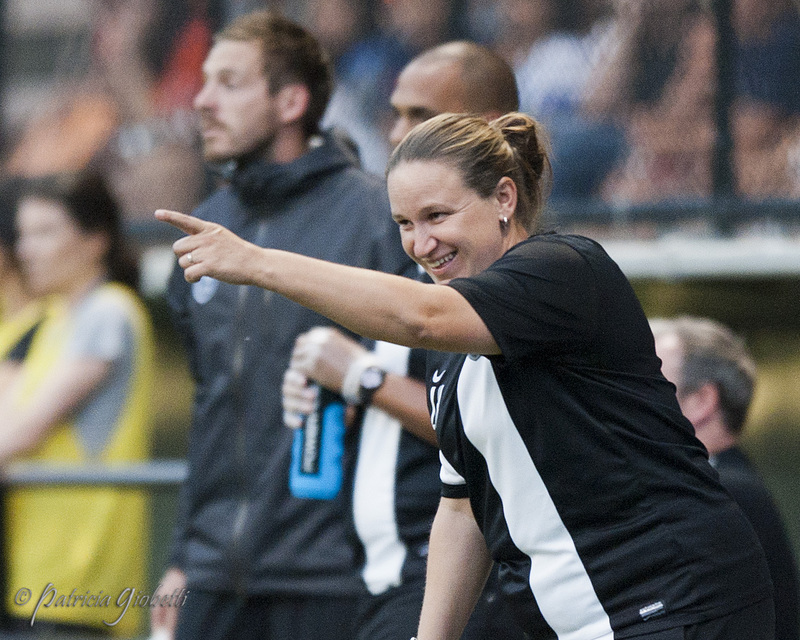 On opening day the Reign started a front line of Kiersten Dallstream, Nairn, and Liz Bogus. The building of Sky Blue’s 2018 roster was far different if only because they were tweaking an existing roster as opposed to building from scratch. The 2017 version of the club was an interesting one. At times they looked downright lousy only to be rescued from the flames by the sheer brilliance of Sam Kerr who netted a league record 17 goals on her way to being named Most Valuable Player. But Kerr asked for a trade away from Sky Blue, and it was around that request that the Sky Blue offseason was orchestraded. The trade happened on draft day. Kerr would go to Chicago with Nikki Stanton, and Sky Blue acquired local product and future Hall of Famer, Carli Lloyd. Sky Blue also acquired Jen Hoy and moved up in the draft where they selected Amandine Pierre-Louis at No. 6, one spot after grabbing Imani Dorsey who was one spot after Michaela Abam. They later wound up with No. 2 pick Savannah McCaskill via the Boston Breakers dispersal draft. Unfortunately for Sky Blue, Dorsey finished college before joining the side fill-time and as of this week is not a fully contracted player, Pierre-Louis began the year with an injury, and 2nd Round pick Casey Murphy elected to remain in France where she signed just before the draft. Sky Blue made other additions. Rebekah Stott, Katie Johnson, and Shea Groom were all acquired via trades, but at the cost of Kelley O’Hara and Taylor Lytle (the No. 4 overall pick also came in the O’Hara deal to Utah.) Johnson and Groom also added to clutter up top which left the midfield a work in progress and failed to address a glaring need at outside back. Christine Nairn scored 10 minutes into the Reign’s opening game in Chicago—a game that led Fishlock to tell Harvey afterward that NWSL was too physical and that she was leaving. Chew on that one for a minute. Also chew on the fact that by leading at any point the Reign did what Sky Blue has not. The New Jersey side equalized the Red Stars for a draw, the Dash twice and Royals once in games they would eventually lose, but through 10 games Sky Blue has yet to have a lead in a game this season. The Reign led one other time during their winless streak. That was May 16 against the Spirit when Lindsay Taylor gave the home side an early lead. The Reign later rallied to equalize that match at 2-2 through Teresa Noyola just after halftime but the Spirit got the last two and the win. That match was a battle of winless teams. The Reign were 0-4-1 and the Spirit 0-2-3. It was the only win for founding Spirit coach Mike Jorden, and their only win from their first 19 games during which they were 1-14-4. The Reign were 5-11-3 after 19 so while they have the futility streak to open a season, the Spirit actually fared way worse in 2013. In the opener against Chicago—which ended 1-1 on a Lori Chalupny equalizer—the Reign were outshot 14-3. They failed to register 10 shots, or keep an opponent under 10 shots, through the first five matches including a ghastly 24-7 in a loss to Sky Blue at Yurcak Field. After that match, Harvey and owner Bill Predmore were seen seated on the pitch in dismay even after the stadium lights were turned out. Sky Blue had a choppy start to the season thanks for the demise of the Breakers throwing the schedule into chaos plus an early FIFA window. As a result they had three of the first six weekends off and struggled to gain a rhythm. But even in games when they have had rhythm it has not led to victories. They dominated the second half against Utah only to lose 2-1 on a counterattack goal, and then dominated the Spirit only to hear the final whistle with the score 0-0. The Reign finally made a breakthrough of sorts in their 11th game. 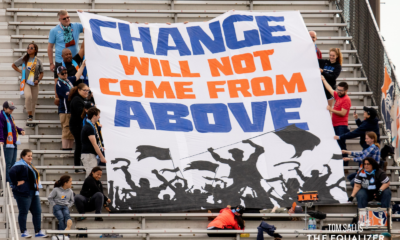 They had lost nine straight following a reasonable showing in s 2-0 loss in Portland. Rapinoe made her debut for the team in a daunting away match against the Western New York Flash who wound up winning the Shield. Winters put the Reign in the lead heading into halftime, but an Abby Wambach penalty left it a 1-1 draw. That ended the losing streak but dropped the Reign to 0-9-2. Three days later in Boston the Reign rallied from a goal down to get an equalizer from Fishlock and an 86th minute winner from Nairn for their first win ever. Sky Blue are headed to Orlando this weekend. Last time they played the Pride in August they were humiliated in a 5-0 loss that wound up being Christy Holly’s final game with the club. If they can’t win this weekend it will mean they tie the Reign with their 11th straight non-win to open the season. After that is an away match in Portland. Ignominy is close at hand. 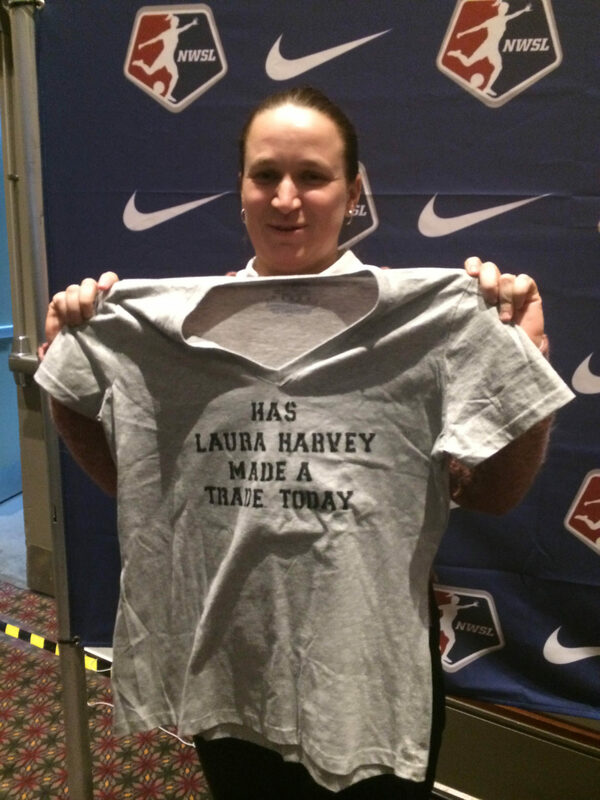 The first offseason in Reign history was such a whirlwind that a tee shirt was made and presented to Laura Harvey with the words, “HAS LAURA HARVEY MADE A TRADE TODAY” on the front. The homage was well earned. Harvey shipped Rodriguez to Kansas City for Kristie Mewis who she then flipped to Boston for Sydney Leroux. And she sent Nairn to Washington for Kim Little, a discovery player who promptly signed in Seattle and then took NWSL by quiet storm. There were non-trades as well. Naho Kawasumi came on a loan agreement from Japan. Kendall Fletcher came home from Sweden to anchor the backline. Beverly Yanez (then Goebel) did the same from Japan and found a new home as a striker. Others just got better. Elli Reed enjoyed her best pro season. Stephanie Cox, pried back onto the field at the end of 2013 after childbirth earlier that year, became a rock on the left side of the defense. Rapinoe and a healthy Solo were on board for the full season. The Courage required far less tweaking. It was long known that the seeds of their greatness were planted at the 2015 draft when they used four 1st Round picks on Abby Dahlkemper, Sam Mewis, Jaelene Hinkle, and Lynn Williams. All four started the 2016 NWSL Championship as did Sabrina D’Angelo, taken in the 3rd Round that day. The 2017 squad, the first after relocating from Western New York, ran away with the Shield. The main change for 2018 was trading Rookie of the Year, Ashley Hatch and Taylor Smith to the Spirit for the rights to Crystal Dunn who then left Chelsea to play in North Carolina. To replace Smith the Courage acquired Merritt Mathias. The Reign were tipped to be a top side in 2014, but how quickly they would be able to gel was open to question. On opening day the Reign tore apart the Breakers, 3-0. Little scored twice and Rapinoe once, and Solo kept a clean sheet. The Reign did not post a shutout in 2013 and Harvey had set about making her team more difficult to play against. The Week 1 shutout delighted her. The Courage opened 2018 with an explosive, nationally televised rematch of their NWSL Championship loss to the Thorns. They dominated the match but found only one goal. Those openers typified the early parts of the team’s respective seasons. Little was magic for the Reign, combining with Winters and an improved Fishlock to form the dominant midfield in NWSL. Fletcher and Solo kept things buttoned up at the back. The Courage continued to dominate many of their opponents but inconsistent work in the opposition penalty area led to results that were narrower than seemed necessary. The Reign endured their first potential hiccup at the end of April. They played a Wednesday match at Sky Blue in a torrential rain storm that never let up, winning 2-0 (the opener was a Kawasumi tap-in after Sky Blue keeper Jillian Loyden couldn’t get a grip on the wet ball.) A flight delay to Washington held them up throughout the next day and they wound up trailing for the first time. That lasted all of two minutes. Leroux’s first goal with the Reign won it. A week later in Portland, a late turnover by Becca Moros gave Little a chance in the 90th minute that she buried. That combined with eight saves by Solo gave the Reign a 1-0 win after being 0-4 against the Thorns a year earlier. Four days after that the Reign coughed up a 2-0 lead to FC Kansas City but a Winters goal gave them a 3-2 win. After seven wins, a draw in Kansas City saw the first points dropped. Four days after that it looked like the Flash would be the first team to defeat the 2014 Reign until Little struck in stoppage time for a 2-2 draw. The Flash nearly had them beat again on June 22. Then an own goal charged to Carli Lloyd tied the match in the 83rd minute and a Leroux goal won it in the 88th. That win brought the Reign to 11-0-2. Sky Blue took it to the Reign in a scoreless draw which was followed by another, less dramatic, rally to beat the Flash and a second drubbing of the Breakers. On July 12, after a 13-0-3 start, the Reign finally lost, unable to overcome an 8th minute goal by Melissa Tancredi in a 1-0 loss to the Red Stars. The Courage first trailed, to the Spirit, in their third game but were ahead by the 24th minute and won 4-2. Two games later the lack of finishing combined with a few runs of sloppy defending had them up against it to the Royals until Crystal Dunn pounced on a late Abby Smith mistake to equalize. And there was the May 6 game in Chicago when it took until the 82nd minute to convert one of 42 shots on the day in a 1-1 draw. The Courage edged the Pride 4-3 in extra time but were never in much danger of losing that one. And then there was the most recent match. 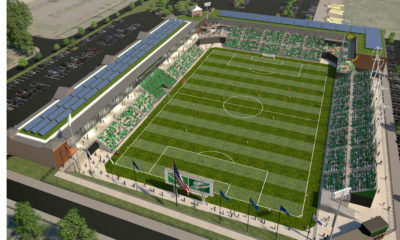 Before skipping a week for the FIFA window the Courage went to Houston. The USWNT players were already gone meaning the team was without: Abby Dahlkemper, Merritt Mathias, Sam Mewis, McCall Zerboni, and Crystal Dunn. Denise O’Sullivan was also gone while Jaelene Hinkle, Kristen Hamilton, and Lynn Williams were all questionable through injury. After an even opening half the Courage fell behind and looked up against it for much of the second. That was until Frannie Crause—a 1st Round pick turned National Team Replacement Player—scored a late equalizer to keep the streak alive. After the Reign lost they reeled off another six straight without a loss (3-0-3) before losing the season finale in Portland to a Thorns team that had to have the match to assure themselves a playoff berth. In the playoffs they scraped by the Spirit and then got burned for Rodriguez who scored both goals for FC Kansas City in an NWSL Championship upset. When will the Courage lose? How will they respond when they do? It’s why we watch sports I suppose. Next up is home date with Harvey and the Royals on Saturday. The attendance table will return next week! -Here’s the skinny on playing through the FIFA window. The option was offered to teams last fall. Play through a window and then not have to endure a midweek match. Obviously teams have to jointly agree to play as well as agree who would be the home team. But a funny thing happened on the way to finalizing the schedule–the Breakers folded. So rather than a neat and tidy schedule where all teams play every weekend, NWSL wound up with an uneven mess in which one team has to sit out every weekend. That, in turn, has forced all teams to play midweek anyway. So what seemed like a good idea at the time for the Spirit, Red Stars, and Sky Blue wound up backfiring a bit. Hopefully the league returns to an even set of teams in 2019 and beyond. -All that said, and with all the players missing on both sides, the Sky Blue-Spirit match wasn’t half bad. 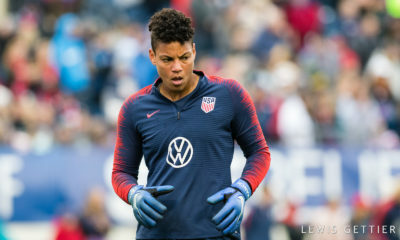 -Kailen Sheridan is quietly having one of the better seasons of any NWSL goalkeeper. She was also not called into Canada for their friendly against Germany last Sunday. Sky Blue coach Denise Reddy said that Sheridan’s omission from Canada was definitely not for the benefit of her club, but that it may have been a case of guaranteeing her a match instead of joining Canada and possibly sitting on the bench. -Sky Blue traded Adriana Leon to the Reign this week for a 4th round pick in 2019. Leon was acquired in the Breakers dispersal draft but after two early appearances as a sub, fell completely off the radar. She did not dress for the June 2 game against the Royals even with Carli Lloyd and Savannah McCaskill already away with the USWNT. Leon enjoyed a stellar 2017 in Boston and would have likely been worth far more than a 4th rounder even two months ago. If the Reign can make her a contributor this could turn out to be one of the most lopsided trades in NWSL history.